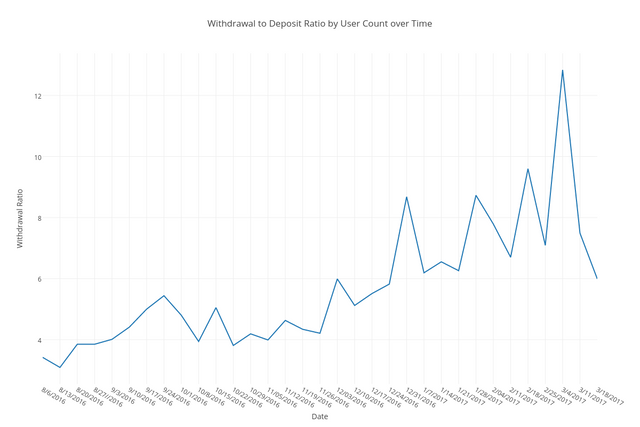 The withdrawal ratio was down to 5.99 to 1 this past week! That's the lowest it's been all year. The average price for the week surprised me at being only $0.10694, but it was in the $0.07 range for much of the week. @alpha cashing out quite a bit at $55k, @julianita for $38k, and @steemit2 for $21k. Well hello, @systema! You powered up quite a bit two days ago. Well done! I wonder if the two weeks of 50% drops in powerdowns impacted the prices we saw this week. 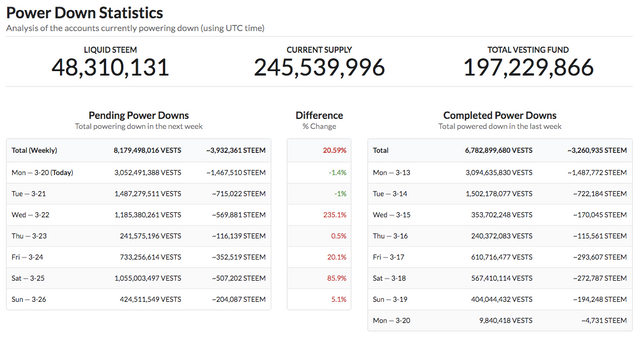 There's a rather larger powerdown amount for next Wednesday at 235.1% lower than last week. I'd wager that's a result of Dan's departure. All together, it's a -20.59% change over last week. Been looking forward to this report. Thanks! This is on the 4 day ( I think its 4 days ? ) power down power schedule ? No, this is simply a reflection of the USD amount of the net amount of value they withdrew to an exchange account over the last 7 days. 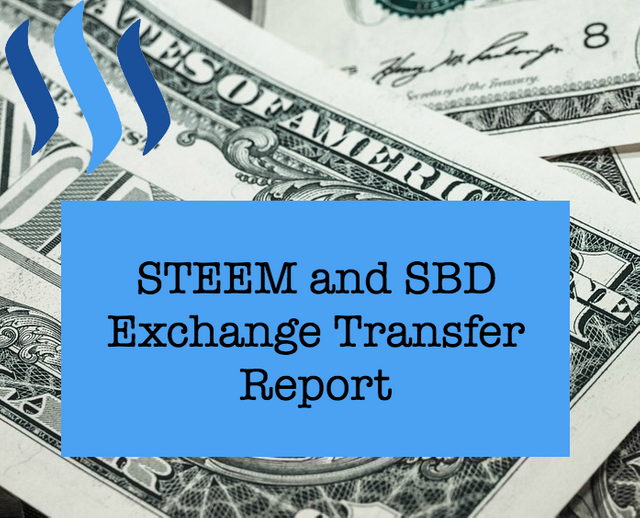 This report doesn't cover power down amounts (which is a 7 day process), but it measures liquid SBD and STEEM transfers to exchanges. 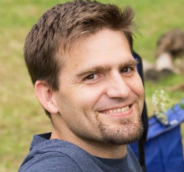 This is great - things are starting to get better! Dan's power-down will have an impact, but not as significant as the positive impact of the ending power-down wave. I'm looking forward to next week. Thanks for the reports!